Plough Inn in Eynsford has a beer garden. The pub has a car park, it has disabled facilities. 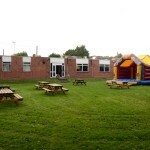 Plough Inn is a family friendly pub. The pub serves food, it has an outside area. 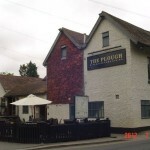 Plough Inn serves real ale. The pub has free WiFi, it is a member of Cask Marque. Five Bells in Eynsford has a beer garden. The pub has an outside area, it has a dart board. 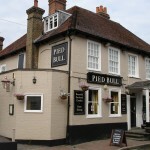 Five Bells holds quiz nights. Local village pub with the service of fantastic food and light entertainment; quiz nights on Mondays and open mic nights ont he first Sunday of the month. Lion Hotel in Farningham has a beer garden. The pub has a car park, it has disabled facilities. Lion Hotel is a family friendly pub. The pub serves food, it has an outside area. Lion Hotel serves real ale. The pub has a real fire, it has free WiFi. 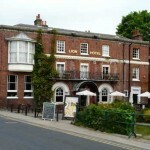 Lion Hotel is a member of Cask Marque. Chequers in Farningham shows live comedy. The pub has a dart board, it has live music events. Chequers holds quiz nights. The pub has a big screen, it shows football on TV. Chequers has Sky Sports. The pub has terrestrial TV.